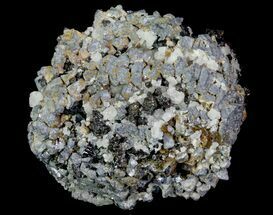 This incredible specimen contains 9 distinct, metallic anatase crystals on a rough matrix. 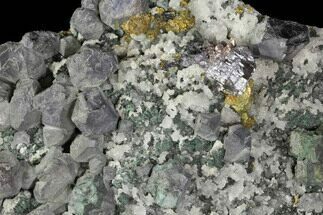 One side of the specimen displays anatase crystals, while the opposite side contains quartz terminations protruding from the chlorite-rich matrix. The largest anatase crystal on this specimen measures in at .37" long. 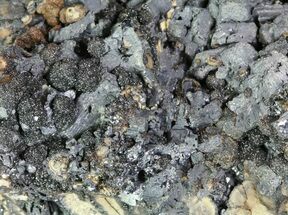 A variety of anatase bipyrimidal and flat ended terminations can be seen throughout the specimen, as well as notable striations on most of the anatase crystals. 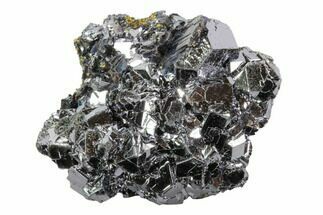 Anatase is composed of titanium dioxide, and typically forms dipyramidal crystals, although variations can occur with mineral clumping. 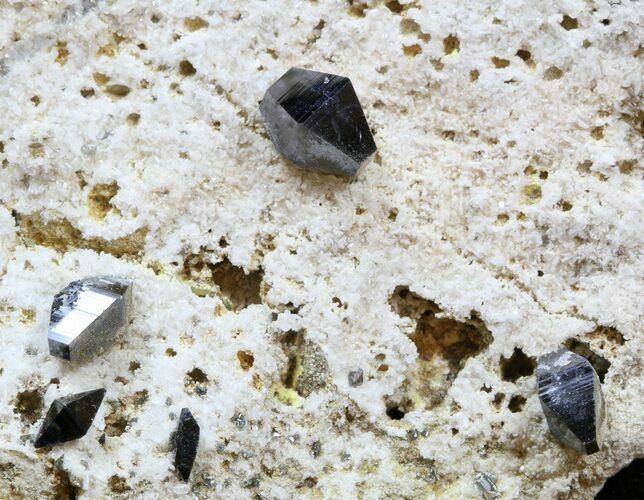 Four pointed X-shaped anatase crystals, while rare, have been found and are known as "X-shaped penetration twins". 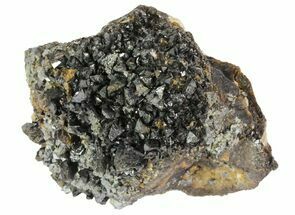 Horizontal striations can be seen across most anatase mineral faces, with most crystals ending in points, or with variations of flattening on each end.